Building DAM into your existing practices. Best practices for planning DAM strategy. Selecting and implementing DAM solutions. A better understanding of DAM. A chance to listen to best practice advice from experts. An opportunity to ask questions about your own collection management issues. The chance to meet leading software providers and see demonstrations of products. A personal copy of ‘Choosing a DAMS for your museum: A how-to guide’. One point to be aware of, the event costs £195 GBP plus VAT. Some free places are available for smaller institutions (defined as turnover under £500,000) but according to their info page, these are disappearing fast. That’s the PR out of the way, now I’ll offer you some more straightforward advice in regard to these paid for events, especially as they relate to museums. Most of the museum/cultural institutions I deal with (either as clients or via friends etc who might work for them) are currently exceptionally strapped for cash – this seems to be a problem the whole world over, not just in the UK or US. So if you are going to attend something of this nature, you need a strategy to get the most out of them worked out ahead of time. Keep in mind that not only is there the attendance fee, but also you are also going to have at least one person (possibly more) away from the office for a day to just turn up at all – which is going to indirectly cost money. Points 1 and 4 of the aims (second bullet list above) you can get started with yourself by doing a bit of web research and just contacting vendors and asking them to show you their stuff (which they’ll all probably be very eager to do). For point 3, I just found the speaker list while writing this and it does look like they have a number of people with specific expertise in the Museum sector as it relates to DAM, so that is a positive sign that it will at least be relevant. What (in my opinion) represents the best value for money for this event is point 3: the opportunity to ask questions about your own collection management issues. This should be when you can get some proper validated feedback about your plans. To maximise the benefit, you need to have something worked out and a big list of questions ready. On point (5) – the freebie selection guide, I can’t comment on whether or not that is worth it, but if it were me, I would hassle Collections Trust for a copy of the table of contents at least to check this out. 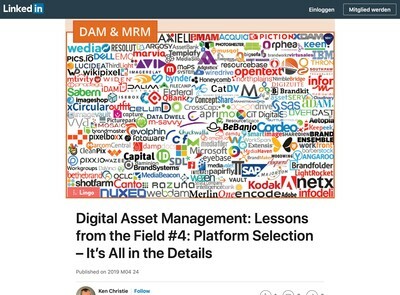 We at DAM News publish a paper on DAM vendor selection best practices, you can get a free excerpt by just subscribing here: https://digitalassetmanagementnews.org/features/whitepapers/ As well as us, there is Real Story Group also too, who will hand over a free sample if you subscribe: http://www.realstorygroup.com/Sample/ Note that their reports are more analyst reviews of specific products than just being about generalist advice (and have a price commensurate with that). You can also get a basic overview of most products from our DAM Vendors site at http://damvendors.com (free, but registration required for the more in-depth info). You need to compare the no or low cost stuff you can get from various other alternatives with the material that they are providing and ensure there are sufficient points of differentiation to make paying for it worthwhile. Some other points to remember, especially when dealing with vendors. DAM initiatives for museums are usually far more sophisticated than a typical programme for a marketing department or other more business oriented client and if all parties are not properly conscious of this at the start then you can run into problems. I wrote a feature article for DAM News earlier this year: Considerations For DAM And Collections Management Convergence Projects which may offer some pointers – that cross-references a posts by Theresa Regli of Real Story Group (who also have clients in this sector). Whatever vendor you choose needs to not only have form in the Museum/DAM market but also a good understanding of how to design the more complex metadata schemas that you will probably have to establish – especially if you are dealing with non-digital artefacts that have associated digital records (such as photos etc). I must emphasise that I am not criticising this event (and it is definitely something that there is a need for), but to get the best value for money out of these kind of paid conferences, you need to be organised and have clear, well defined objectives for what you are going to get out of them. That advice holds true for any kind of consulting oriented purchase decision, whether it is delivered one-to-one or in a conference format. Thank you for sharing your thoughts, Ralph (if I may!). Doing a bit of prep work prior to attending would certainly help attendees get ‘more bang for their buck’. I would like to add one other incentive to your list — included on the Collection Trust’s website — that is worth considering: “Network with colleagues and speakers throughout the day.” Connecting with staff from other museums who possess meaningful experience or share a similar situation (in need of a DAM, implementing one, etc.) could lead to the discovery of valuable knowledge. For example, you may be planning to integrate a DAM with a little known Collection Management System (CMS). 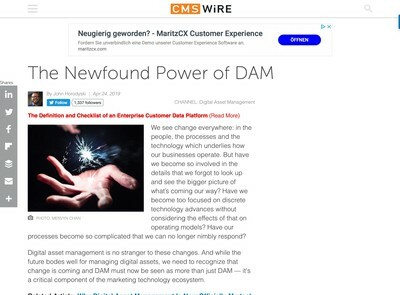 Finding someone who runs the same CMS who has already undergone a DAM integration could lead to a savings in time and money. At the very least, you’d learn about pitfalls to avoid. Linking with other museum experts who are at the same stage of a DAMS stage could shed light on unconsidered novel ideas or best practices. 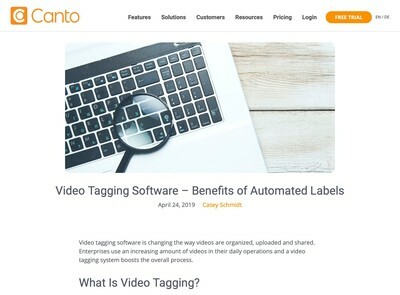 For example, they may have negotiated the responsibility of metadata input in a different, but seemingly effective way, than you had originally been planning. 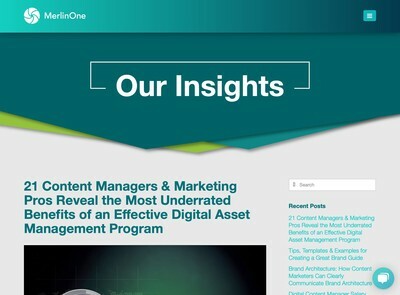 Your readers may benefit from The Collection Trust’s, “SPECTRUM Digital Asset Management,” a free publication about integrating a DAMS into a CMS. I will be blogging and tweeting before/prior/and following the event. For any of your blog’s readers who are unable to attend but have questions they would like me to ask during the event, please feel free to forward them to me. I will do my best to ask them during Q&A. Networking is probably useful too, however, it’s more nebulous and harder to pin down in terms of specific benefits. The other factor is that you can do networking elsewhere at other free events or on-line quite well these days, whereas getting expert advice and questions answered is a bit harder (and more valuable). I think it’s another case where you need to have clear goals about the type of person you’re going to network with – such as the example you provided about someone else who has gone through the same experience as your institution. Thanks for the link to the free publication, we’ll get that added to the DAM News resources section also. I believe your Twitter handle is: @ianmatzen https://twitter.com/@ianmatzen for those who plan to follow your tweets.